Wilson adds a little more control with the NEW BLX Fierce. Even more impressive than the power is the amazing comfort. This comes in no small part from Wilson's time-tested BLX technology for the ultimate racket dampening characteristics. Wilson adds a little more control with the NEW BLX Fierce. Even more impressive than the power is the amazing comfort. This comes in no small part from Wilson&apos;s time-tested BLX technology for the ultimate racket dampening characteristics. This technology incorporates basalt fibers into the frame and separates the racquet&apos;s hoop from the handle, thus limiting the vibrations that reach the arm and immensely improving feel for the ball. 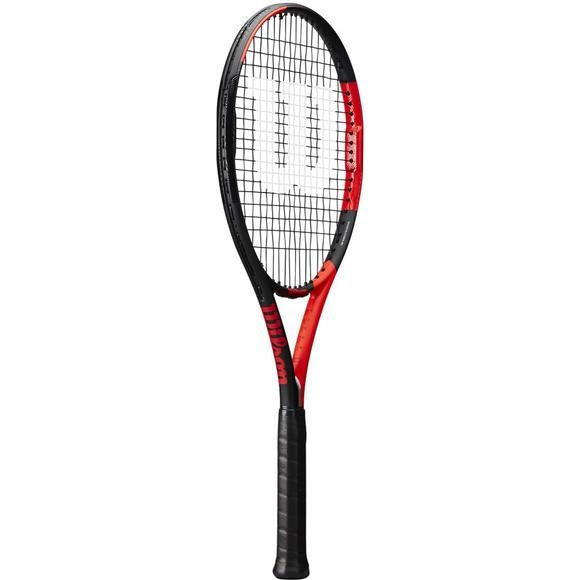 Whether you are a beginner searching for additional power and control or an older player looking to recover a lost step with a comfortable racquet, this one is worth a serious look.